Do I Have to Be Driving My Car to Be Charged With Drink Driving? The majority of motorists understand that if they are caught drinking and driving they will loose their licence. Indeed the bulk of our work as experienced traffic lawyers is aimed at minimising the disqualification period or securing a work licence for people caught drinking and driving. What does take people by surprise is that they can lose their licence for sleeping in the car or even simply having the car keys in their pocket while intoxicated. is in charge of a motor vehicle, tram, train or vessel. The offence of being in charge of amotor vehicle is one of a cognate, or like nature offence, of “driving” a motor vehicle whilst under the influence of liquor. There are a number of cases which have dealt with this issue where the accused has reclined the drivers seat and turned the radio on while sleeping off a big night. The court has determined that such conduct makes out the offence of being in charge. A more significant example of being in charge is the unreported case of Elloy v Noble (15/1987 Townsville, 9 June 1987) where the owner of a motor vehicle allowed another to drive his car. It was involved in an accident and the driver absconded leaving the keys in the ignition. While being questioned by police the Applicant leant against the car. His Honour, Judge Wylie DCJ upheld the conviction and found that the Applicant, by his conduct was “in charge” of a motor vehicle. In other decisions the Court has held that even where the person is outside the vehicle at the relevant time, where they have recently driven it, or are in a position to drive or attempt to drive the vehicle, they are “in charge” and the offence is made out. had manifested and intention of refraining from driving that motor vehicle whilst the defendant was under the influence of liquor or a drug, or as the case may be, whilst the concentration of alcohol in the defendant’s blood equaled or exceeded the blood alcohol concentration. a manifestation of that intention, by occupying a compartment other than that containing the drivers seat. It is possible to be charged with drink driving in the colloquial sense not only when you are not driving, but in some cases when not even in the vehicle. The dangers of drinking and driving are well known, but the legal consequences of being in charge of your vehicle whilst intoxicated are equally significant. The issue of being in charge of a motor vehicle when a person is not actually driving is often a complex one that turns on the specific facts. You should always seek professional legal advice before appearing in court for an offence of this nature. 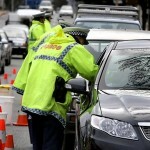 We are Coomera’s traffic law experts and are able to help with any traffic law issue on the Gold Coast or Brisbane.